I live in Montreal, a city that is not known for its steakhouses, but more for its smoked meat or ethnic cuisine because of our diverse ethnic background. Moishes and Queue de Cheval are the popular steakhouses here but also quite pricey. So I know next to nothing about the Black Angus Restaurant chain until I picked up this book. Let me begin by saying that this book is not so much about the restaurant itself but rather about the founder, the man behind the chain. It's part memoir, part business advice written by the man himself with no holds barred. He is straightforward. "I'm a plain-speaking guy and I write like I talk," he states right from the beginning. And he is funny! I found this book to be highly entertaining, and a good study in business practices, especially in the 60s, 70s and 80s, so there is a whole lot of culture in this book too. The parts I liked best were his stories of when he was in the army; anecdotes about everything that happens in a restaurant from before the doors open to afterwards; his humble beginnings when he had a bar and grill with customers who were primarily hookers and wrestlers but who taught him a lot and sustained him through those first crucial years in the business; and all the tips throughout the book that are essential for business owners and good to know in general. It is truly astounding all that Stuart has accomplished. He built the #1 restaurant chain of the 1980s and admits in his preface that there were over 10 000 folks who helped him achieve this success. He is honest as he writes about how he conducted his business, giving credit where it is due and opening admitting his mistakes. He also openly praises Helen, his wife, who played a big part in his success. The book contains black and white photos and newspaper clippings. It also contains recipes, some of which are Black Angus favorites. I have to try the Swedish meatballs recipe. I had the pleasure of speaking with Stuart (and Helen) on the phone and I can say that they are as charming as Stuart's voice in his book. Being a business owner myself, I wholeheartedly appreciate Stuart's advice and will remember it as I too navigate the tricky waters of business. 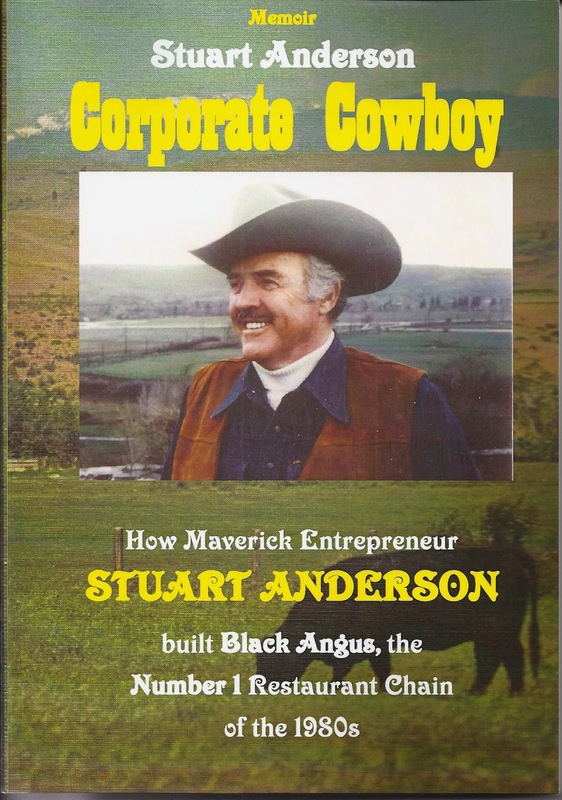 To read more reviews and to follow the tour, please visit Corporate Cowboy's page on iRead. Stuart Anderson was the founder of the Number 1 full-service restaurant chain in the Nation. He grew his original concept of a one-price steak dinner from one restaurant to 122 before he retired in the 80's when these polls were taken that made them No. 1. The chain still exists primarily on the West Coast. 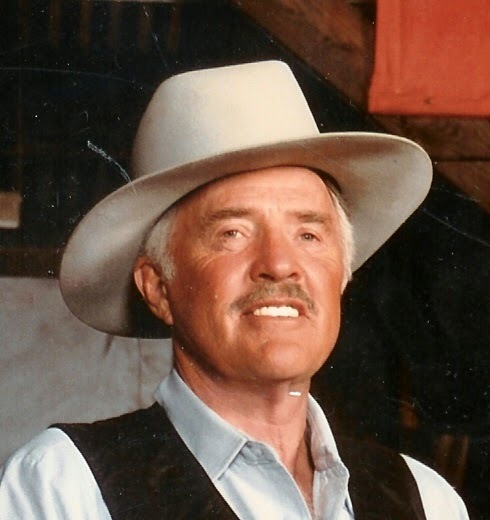 He was also a rancher for over 30 years with a beautiful ranch in Central Washington State where he raised Black Angus cattle and Clydesdale horses. He spent most of his life in Washington until moving to the beautiful Desert in Southern California. He has two wonderful daughters, two grandsons and about to have his first great grandson. He and his wife traveled extensively over a good part of the world and around America in their motor home. They especially loved train travel and enjoying retirement. Stuart is currently 91 years young! Connect with Stuart on Facebook.